Subaru's 2016 Forester compact SUV has earned a loyal following for good reason. Although all-wheel drive (AWD) is standard, the Forester's pricing and fuel economy remain right in line with such front-drive (FWD) competitors as the Ford Escape, Hyundai Santa Fe and Honda CR-V. Toss in an excellent reputation for reliability, safety and value, and arguments against the Forester become trivial. Subaru Forester good over all. 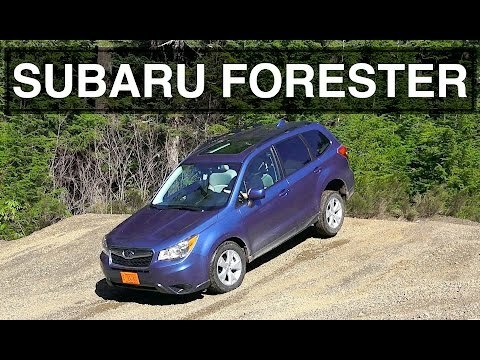 The Subaru Forester is a great car. It has plenty of legroom in front and back. Four people fit very comfortably, but five is a very tight squeeze, even when 2 are kids. It drives well. I have driven both in town for commuting as well as multi-day road trips. Driving, turning and parking are a breeze. The back-up camera is great. I often parallel park and know exactly how much space I have to maneuver. It saves me much time. The only thing I do not like is the Bluetooth connection in the sound system. It works it is great, however it drops a Bluetooth connection on a regular basis. Just listen to one song, sometimes it will start on the car stereo then drop off and go to my phone and then go back on the car radio. It is super annoying and unreliable. Subaru, it is what you love. It is a smooth and quiet ride. The interior has an automatic adjustable seat for the driver and front heated seats. A large sunroof and decent trunk space. Keyless start. Mirrors fold in and there is a rear backup camera. It is great on gas averages 24 mpg. It has hill descent control. It is fully automatic with power windows and steering. It is all wheel drive with 18 inch wheels and an 8. 7 inch lift. It has a 2 liter boxer turbocharged engine which is only available in the xt. It is a great SUV with tons of off-road capabilities and smooth enough to drive everyday and in any weather condition. It has one of the highest safety ratings and more than 90% of Subaru cars are still on the road today which were purchased over a decade ago. It's a safe and handy vehicle. I like the roominess inside, the height of ceiling, the wide front windshield that allows good view when driving. I love the all-wheel drive, the lights on the floor at door that turn on when you enter or exit the car. I like the cargo area, but would have liked it to have been just a little bigger. Don't t like that the rear gate when opened is easy to hit my head on if I am not careful. Wish that when it rains and you need to roll the window down, the rain easily gets inside, I know you can buy window guards but it seems like there could be better design on the standard model.